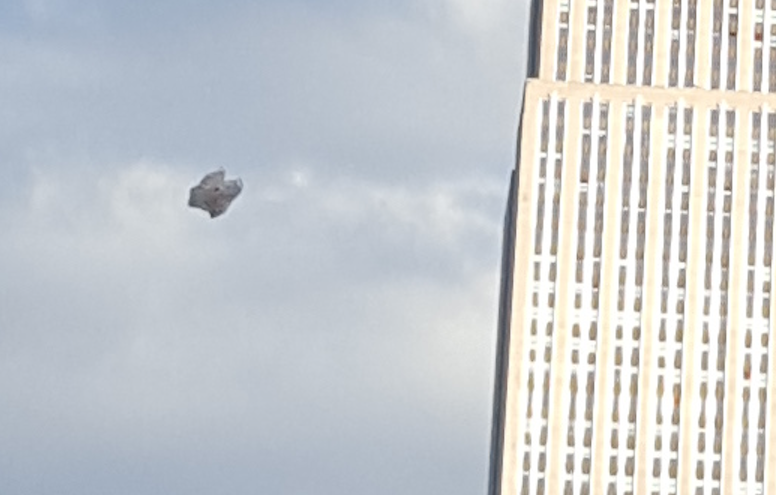 UFO SIGHTINGS DAILY: Tourist Accidentally Captures UFO Near Empire State Building, New York, April 2016, UFO Sighting News. 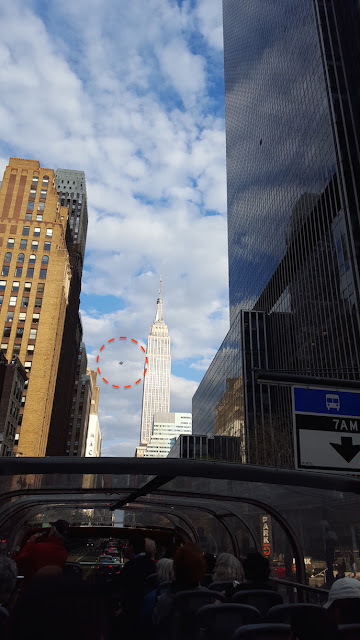 Tourist Accidentally Captures UFO Near Empire State Building, New York, April 2016, UFO Sighting News. 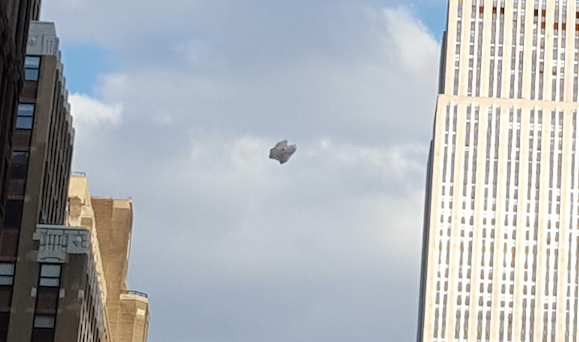 This UFO was captured in NYC this week, and for this UFO to have been so close to the Empire State Building it had to have been cloaked. Aliens have a high interest in how we try to persevere our old culture, and this building is a prime example of what they would like to see. Hi my names "D" from the UK im visiting NYC with my girlfriend and have just been looking back through my previous days photos and seen this. 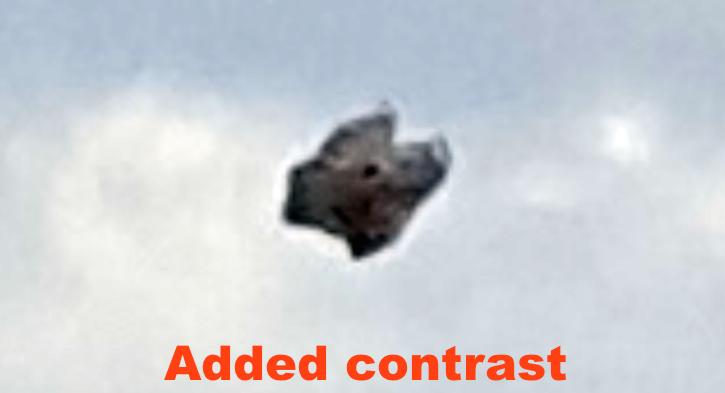 Don't know what it is, but looks freaky! 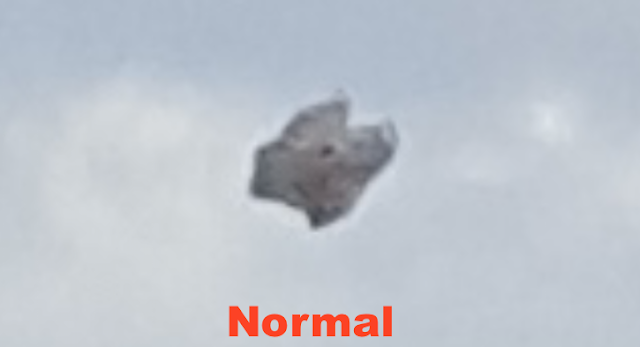 Hopefully you guys can sharpen the pic up and tell me what it is. In one of the pics ive tryed to zoom in and put some filters on it to see if it shows anything different... but ive sent the original also.